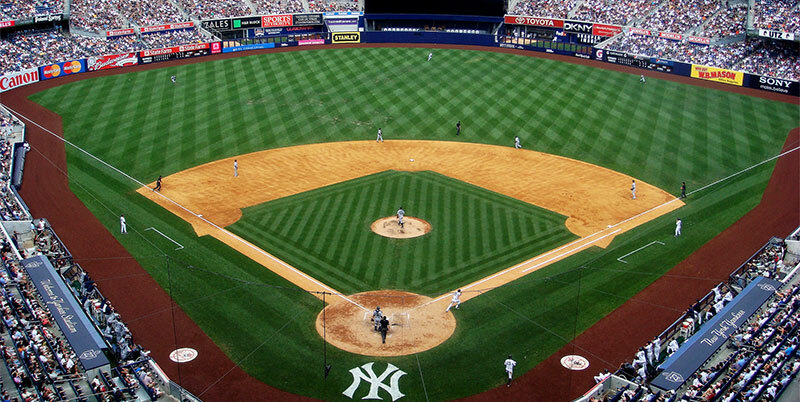 Headed to the Bronx to grab a bite to eat and watch the New York Yankees take a win down at Yankee Stadium? You aren’t alone, and there are so many great food options here for you to munch on while you enjoy the game that you will want to map out the best food vendors to appease your taste buds. If you’re having a hard time trying to figure out where to begin, then you’re in luck. We’ve compiled a list just for you-the 5 ballpark foods you have to try at your next visit to Yankee Stadium. The Triple Play Stand is the official new kid on the block at the Yankee Stadium, but they have made their entrance with a bang with the G.O.A.T Burger (disclaimer: no goats involved). A clever acronym for “Greatest Of All Time”-this burger holds its own. A delicious beef patty topped with bacon, pastrami, G.O.A.T sauce, and American cheese. This burger definitely lives up to its name. The N.Y. Grill Stand serves up this new sandwich and it’s about as delectable as a sandwich can be. Roasted, Italian-style marinated pork is surrounded by broccoli rabe, cherry pepper mayo, and lathered in melted provolone cheese. It looks as delicious as it sounds, and really lives up to its name. We couldn’t pick just one, and it’s likely that you won’t be able to either. Here are a few options at Brother Jimmy’s BBQ to get your mouth watering: fried pickles, a pulled chicken sandwich, the Carolina pulled pork sandwich, beef sandwich, mac’ and cheese, and baked beans accompanied with smoked pork. Try one or try them all, whatever your choice may be this delicious food vendor won’t leave you disappointed. A heart stopping hamburger for the record books is the Barnyard Wedding. It takes the traditional hamburger to a whole new level when it stacks hash browns on top of fried chicken cutlets and then stacks it all on beef patty saturated with cheddar cheese. This is a go to option at Yankee Stadium right now, and it isn’t one you want to skip out on. Don’t be forced into making a choice with the Double-Double because it gives you the best of both worlds. The genius behind this masterpiece replaced hamburger buns with grilled cheese sandwiches and then filled it with not one-but two-beef burgers, onion rings, and American cheese. It has all the toppings your heart desires and the calorie count may make you do a double take at an astounding 1,120 calories. The skilled food vendors at Yankee Stadium are bringing so many new plays to their food game it is almost hard to wrap your mind-or mouth-around them all. Pick and choose from these 5 fan favorites next time you watch the New York Yankees play ball and watch your favorite team-and your taste buds-hit a home run.